Yep, IoT is just an enabler technology, not the solution itself. Hence, it takes our effort to look into the problems and brilliant ideas to “hack” into working solutions, which may be enabled with IoT. RIoT has an objective to facilitate the emergence of these ideas, and implement them into tangible products, at least to the prototype stage. RIoT is a community effort to organize a series of events in form of 3 days seminar and 2 days hackathon, in the hope to educate and facilitate the nation youth to create products and solutions based on IoT. The seminar will be delivered by government representatives, academics, industry players, and community activists around IoT, who are expected to transfer their thoughts, knowledge and best practices in the industry, that hopefully be able to trigger the emergence of new and brilliant ideas. The implementation of those ideas into product prototypes will be facilitated through 2 days of hackathon. Our deepest hope as the organizer, is that the prototype will be continually developed and nurtured by “hacktheles” even after the hackathon, so it really will become a product that has significant and positive impact for Indonesia and the world. How did it all begin? The idea of organizing RIoT began with my casual discussion with Dato Lai, one of MyIoTC (a consortium of IoT technology companies in Malaysia) initiators, at an event in Bandung city, which happens to be IoT-related as well. I must admit that Malaysia is more progressing than Indonesia in term of IoT, especially in hardware and electronics, and already supported with a good ecosystem. However, Indonesia has the same potentials, according to Dato Lai. And we’re agree on the need to kickstart IoT in Indonesia, for instance: with a hacktahon event. And the idea of IoT hackathon in Bandung was born, right there. Quite honestly, I almost forgot about the idea, probably because I was drowning in my work. Until finally reminded by a colleague from Malaysia – Choo Sui Hong – who happens to be a high-ranking officer in Cytron Technologies, a company that also happens to be a member of MyIoTC. From there, the initiation of ideas and discussions began that led to the formulation of RIoT. We finally agreed on RIoT will be held in Bandung, organized by two IoT communities from Indonesia and Malaysia, is Makestro and MyIoTC. I often want to cry happily considering the abundance of supports to RIoT. I need to emphasize that RIoT is a community event, not a principal or government event. So it’s a must that a community event needs support and sponsorship from all possible parties. Not to make profit, simple to make the event possible. Initial support came from two IoT companies from Indonesia and Malaysia, which happens to be the driver behind Makestro and MyIoTC. They are DycodeX and Cytron. 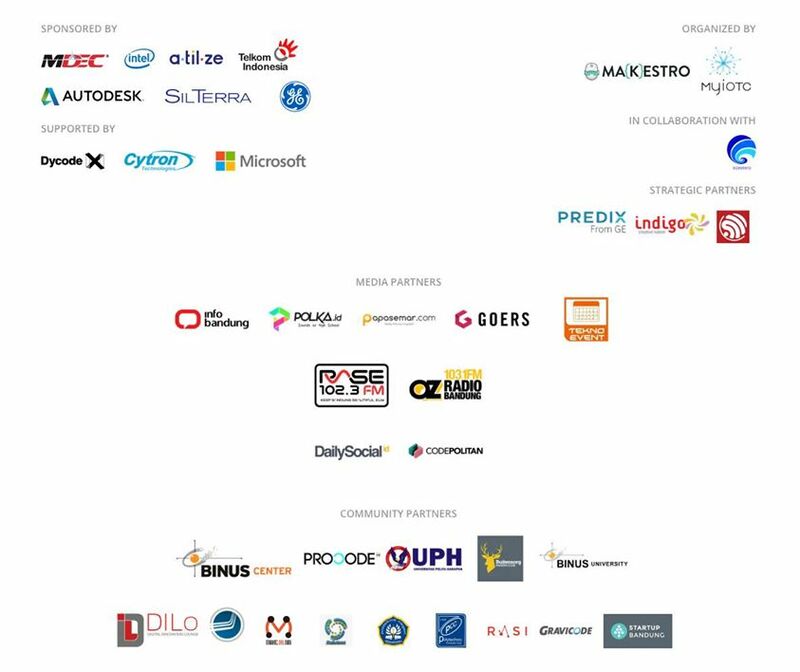 Not long after that, more supports coming up from MyIoTC’s relations, be they’re MDEC, SilTerra, Autodesk, Intel, and a.til.ze. Domestic supports began to come as well. The collaboration with a Ministry of Indonesia KOMINFO began, which in the process bringing a lot of supports from Indonesia, which one of them was from GE Indonesia. KOMINFO then organized an IoT Forum Group Discussion that brought together the representatives of government institutions, associations, industry players, academics, and practitioners, in the effort to introduce the RIoT initiative, while initiating the discussions of IoT in general for Indonesia. Another domestic support came from my friends at Microsoft Indonesia which’s kind enough to support RIoT through its Microsoft Azure team. At the last minutes, we are very thankful to have the support from Telkom Indonesia, through its Indigo program. The support was so big, which without it, it’s almost impossible to carry out RIoT in a prestigious and spacious venue as in Bandung Digital Valley. It’s not over yet. The last support came from the maker of ESP32 microcontroller chip – the chip that became the brain of the official development board for RIoT hackathon. It’s the one and the only Espressif System. Please read their press release to officially support RIoT here. ESP32 itself is still a new product, and RIoT is the first hackathon in Indonesia, and probably in Southeast Asia, which features ESP32 as the microcontroller for its official hardware. 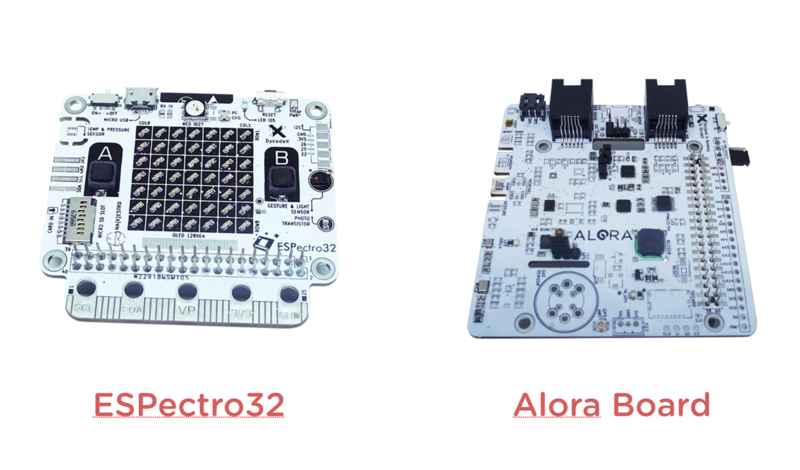 Oh… by the way, here are the offcial hardware: ESPectro32 and Alora Board. They’re custom-designed and researched by DycodeX, mass-produced by Cytron. Not often to see a hardware hackathon makes and offers its own custom hardware. It’s also a proof that RIoT is not a principal event. Not to mention the unparalleled support of the communities, both local and national, companies, universities, who proactively supported from the moment of initiation, Road To RIoT, until the D-day. And of course, this “riot” is not possible to be heard without the help of media partners. The series of RIoT events is commenced officially today, August 23, 2017. Have a great conference and hackathon! Don’t forget to make friends. 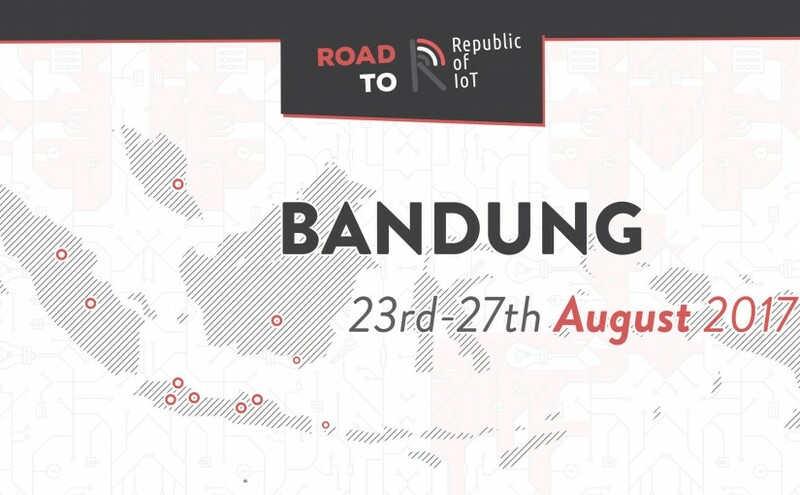 We dedicate the Republic of IoT to Indonesia, Malaysia and the world!